Legislators need to understand the local perspective on the state budget and other proposed legislative changes that affect schools, and there’s no better way to spread the Governance First message than by participating in Board Member Action Day on May 10, says CSBA President Cindy Marks in this video. Governance teams planning to meet with legislators in their local offices must register by 5 p.m. on May 1 to gain access to all the members-only resources CSBA offers to make your meetings a success. CSBA’s Governmental Relations team will handle all the logistics for registered participants—from setting up the meetings to preparing you to effectively convey the importance of Governance First. See answers to these frequently asked questions, and testimonials from board members who participated in the event last year. 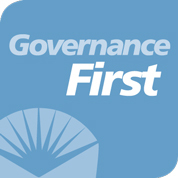 CSBA offers all the tools and assistance your governance team needs to participate. Simply visit My CSBA and set up your profile to ensure you have everything you need right at your fingertips.